President Andrew wowed the lunch meeting by welcoming our new Rotary Exchange Student, Gaspard Alavoine, recently arrived from France and Andrew spoke eloquently in French! This is what he said. Hello Gaspard and welcome to Canada and welcome to our friendly City of Belleville. As a Club, we are thrilled to host you in our community for the next year. We hope you enjoy your time with us and get to experience as many Canadian experiences and traditions as possible! We meet every Monday at noon and we hope to see you joining us here for as many meetings as possible. It is a tradition of our club to present our incoming exchange student with a flag from his or her country and to keep this flag on display, along with the rest of our club's flags for the duration of your stay in our country. 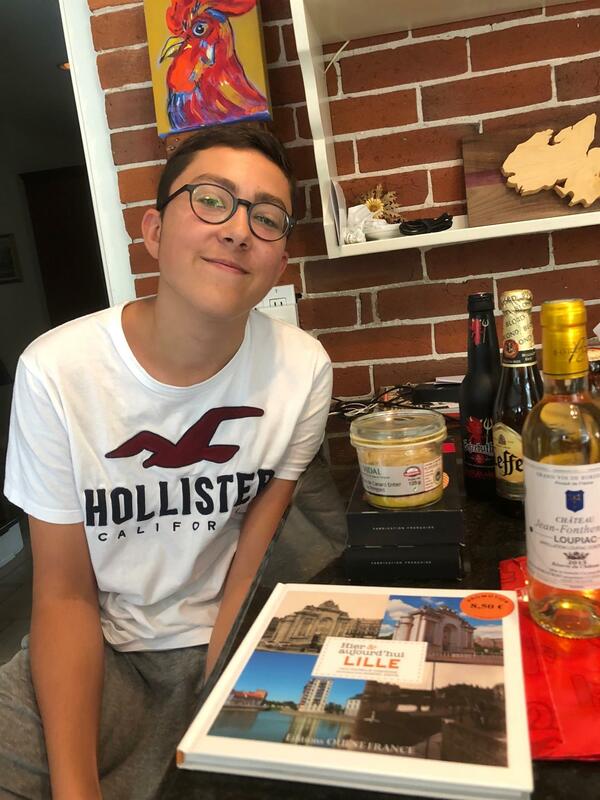 Gaspard, a big welcome to you and congratulations for choosing Canada. We are sure you will have a fantastic year.